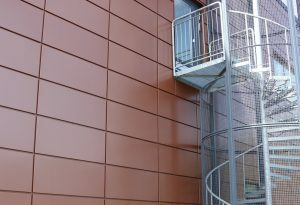 TPE façade cassettes are created from stronger sheet metal. 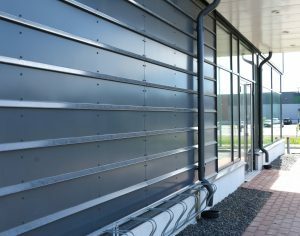 The most common materials are coated steel sheet or aluminum. 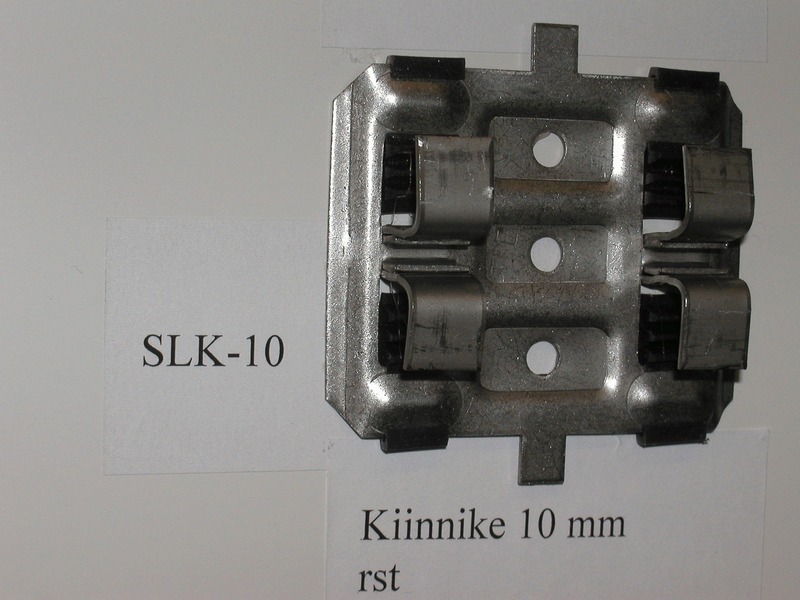 Thickness varies according to cassette size, but most common ones are 1,2 mm for steel and 2,0 mm for aluminum. Cassette size is derived straight from the blueprints or fitted on site according to the target. TPE facets come in several models. 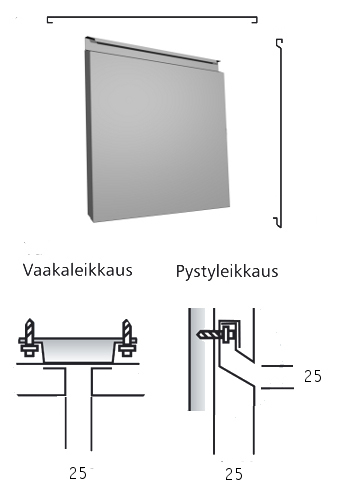 The fitting of the basic models depicted in the sketches is always done according to façade measurements. 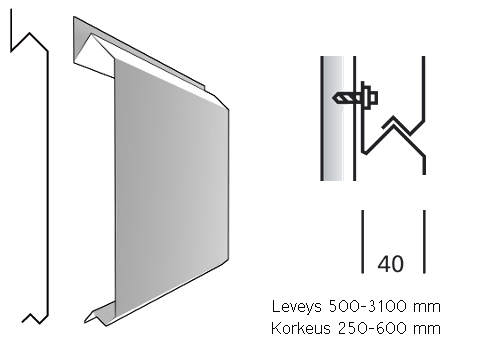 Length is also best gained by measuring the façades on site. Facets are mostly manufactured from 1,2 mm PVDF coated steel sheet. The use of ceramic tiles and plank tiles has increased rapidly in apartments and office buildings. 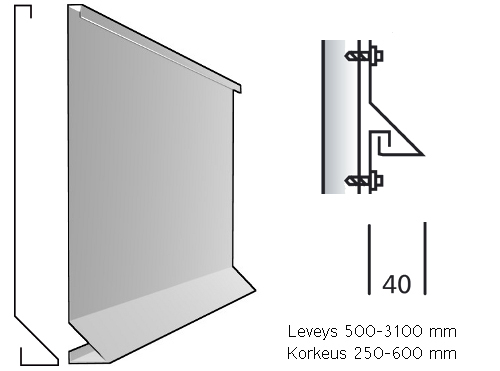 Kerasteel is one of the modern options. 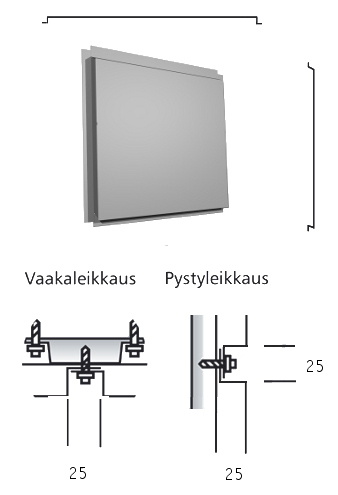 Download a brochure about the use and installment of Kerasteel tiles from this link. 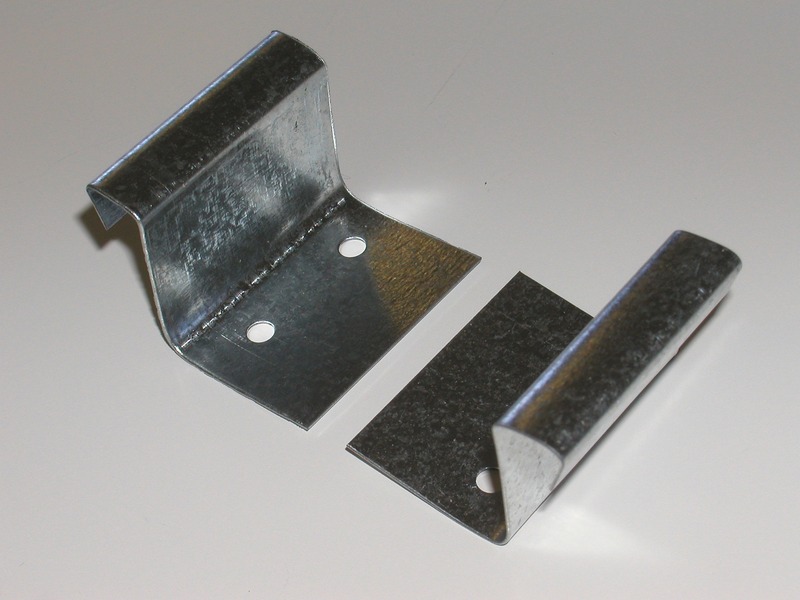 PVDF coated sheet metal is the most commonly used, but also copper and aluminum sheets are available. 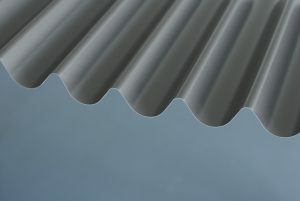 Different color choices are available when steel sheet metal is used. 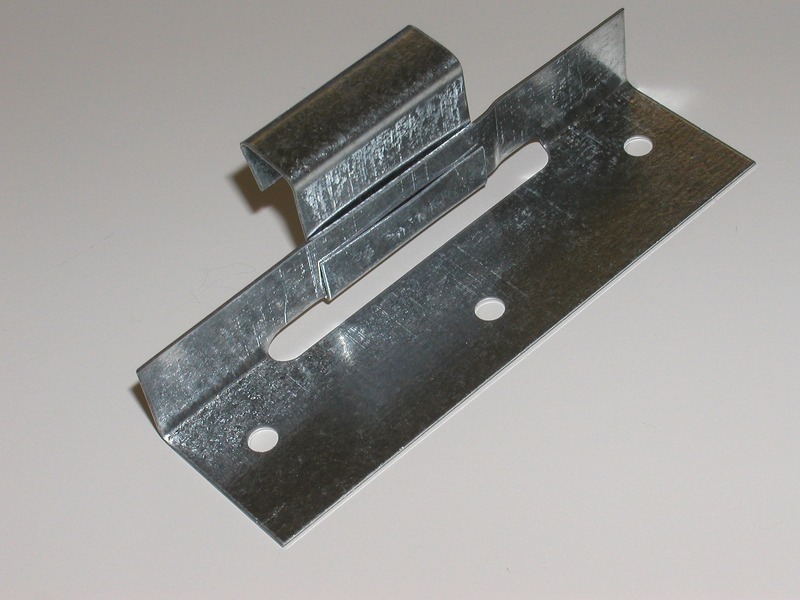 TPE 115 is a support sheet metal profile, which is used when there is a need for a light and supporting ceiling structure with the necessary resistance for the designated structural load. 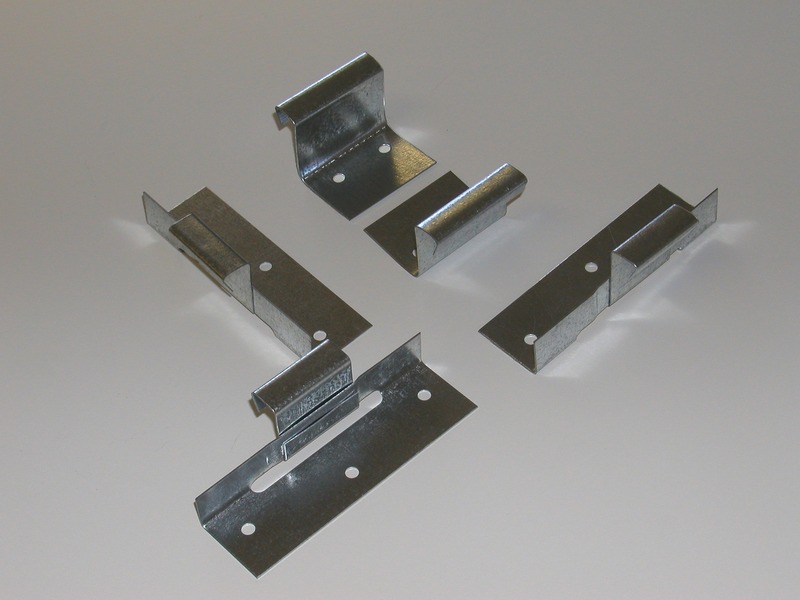 Profiles are always assembled from sheet metal created from classified construction steel. 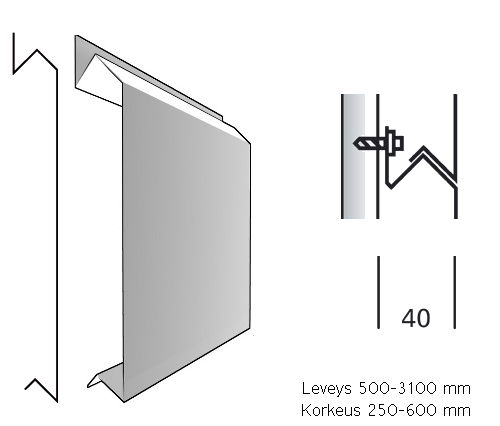 Material thickness varies from 0,7 mm to 1,2 mm and is always determined by the load. 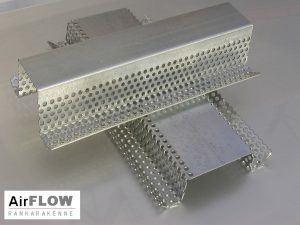 Coating choices are galvanized or polyester RR20 white. For larger projects other colors will also be available. 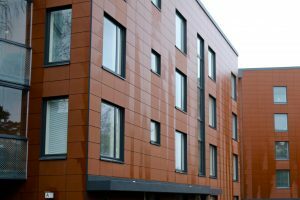 For canopy sites we recommend anti-condensation coated profiles to avoid issues with condensation water. In the spring time of year 2011, calculation software was deployed to help making the load calculations for supporting profiles. 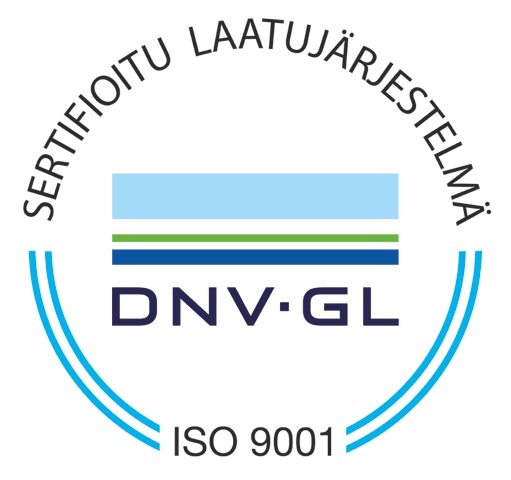 The software allows the optimization of the profile thickness measurements required in different situations. 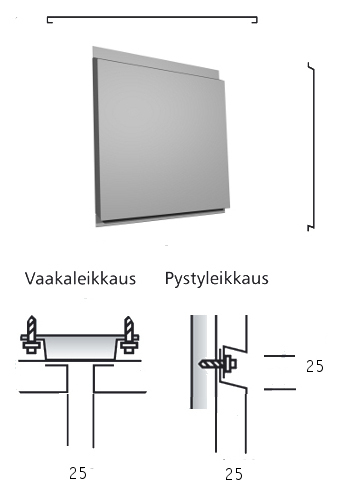 To accelerate and confirm fast and properly fitting installation of facades, we manufacture our fasteners and studs.